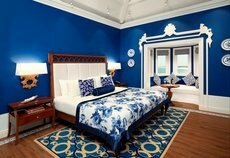 Vivanta by Taj - Fort Aguada, Goa is at its best. Romantic. Charming. Vibrant. It has history woven in its walls. 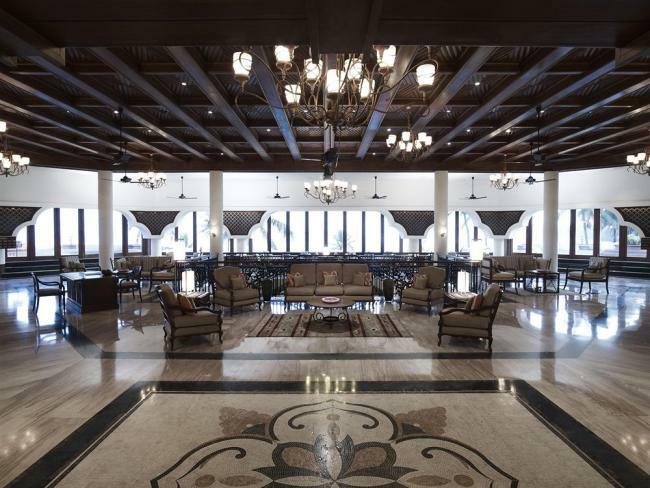 It's where royalty, heads of government and the biggest celebrities are known to frequent. 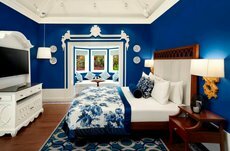 For the luxury Goa experience, which no other place has been able to recreate. Not much has changed. There's a nice new buzz however. 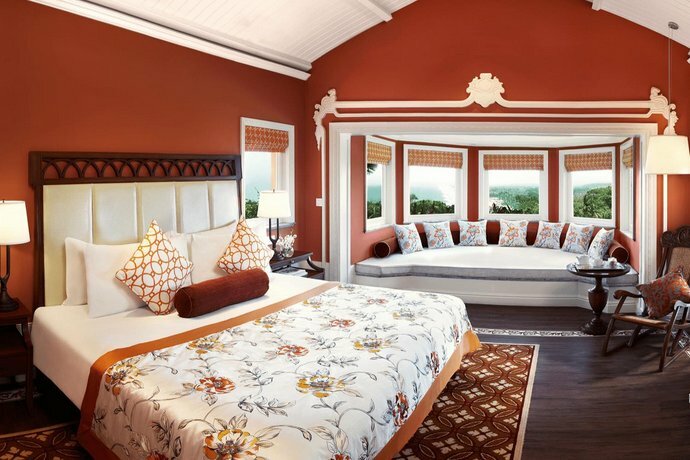 In the renewed rooms, cottages and villas, the nouvelle restaurants and the Jiva spa where you'll go Ah! Soak in the space that showcases the spirit of Goa. The 45 km drive from the airport will have you delighting in backseat surprises (we're not revealing here). 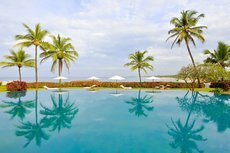 Explore the horizon as you look over the infinity pool, beyond the 16th century ramparts of the Portuguese Fort, and wave back to the tide as it works its way across the Arabian Sea to joyfully greet the Sinquerim beach below. 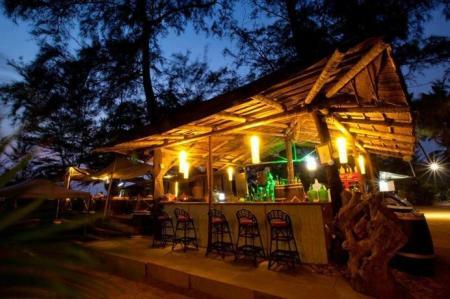 Explore Goa in a vivid, vibrant way. 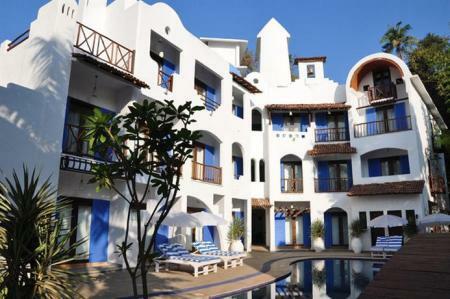 Goan-Portuguese architecture marks 145 rooms including 14 suites in the sea facing main complex. 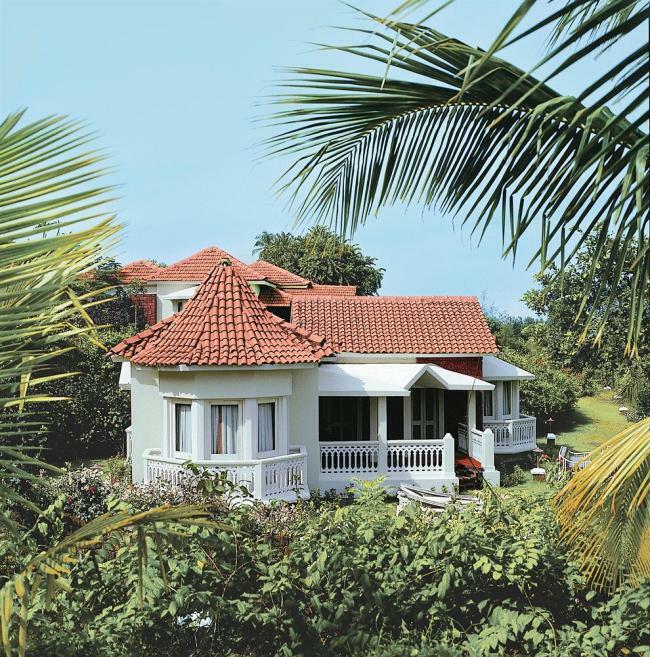 And the private luxury Aguada Hermitage villas nestled in the hill, which offer spectacular panoramic views. 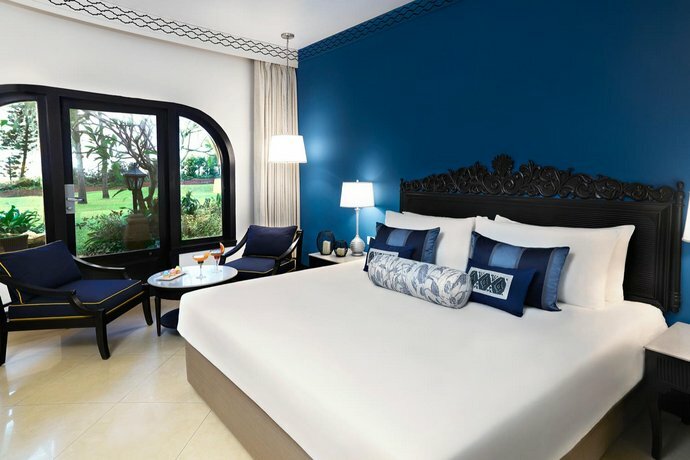 Relax in leisure amidst Balinese inspired landscaping which covers over 42 acres of style. 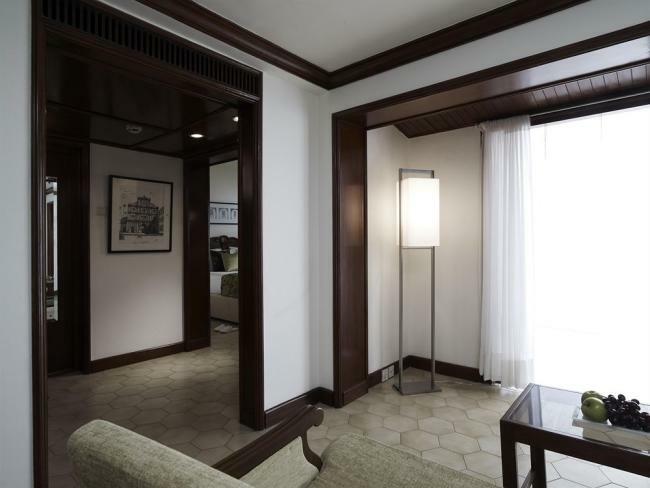 Superior Charm - Garden View with Sit Out is located on the ground floor of the east wing of the main building. 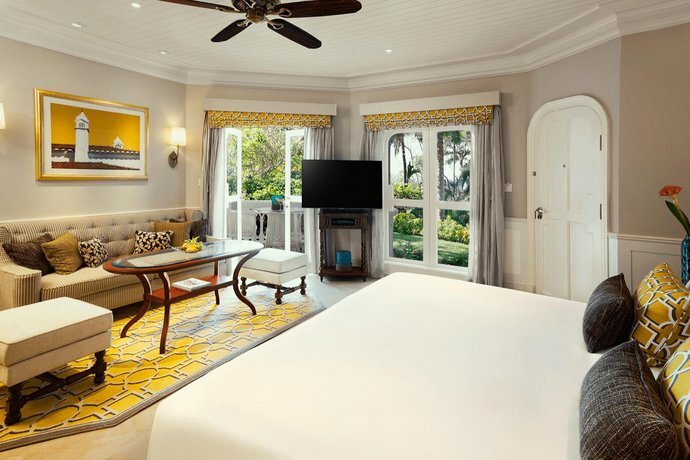 They have a cosy sit-out overlooking the west wing lawns with comfy cane furniture. All rooms in this category have a Treat Yourself mini bar, DVD player, television, 2 line phones and designed bathrooms with a bathtub. 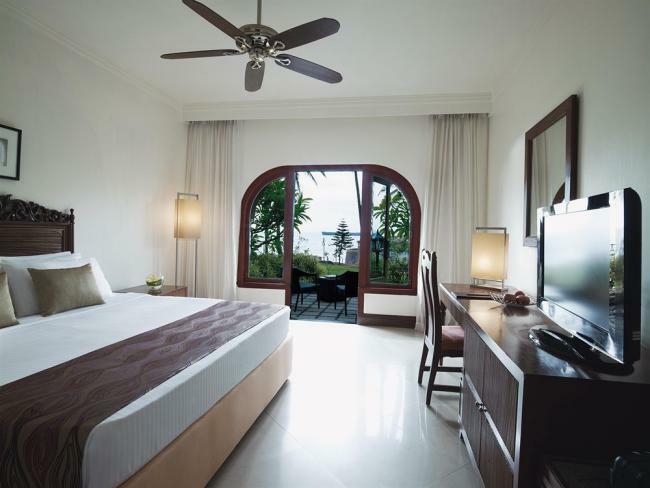 Superior Charm Sea View rooms are located on the first floor / lobby level of the main building. They have a splendid view of the sea. 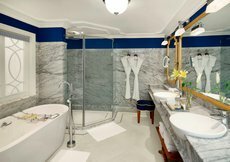 All rooms in this category have a Treat Yourself mini bar, DVD player, television, 2 line phones and designed bathrooms with a bathtub. 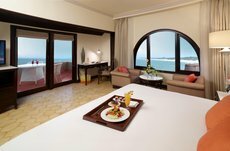 Superior Charm - Sea View with Sit Out rooms are located on the ground floor of the east wing of the main building. 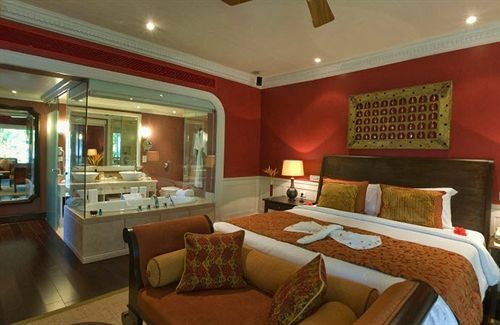 They have a cosy sit-out overlooking the west wing lawns with elegant wrought iron garden furniture. All rooms in this category have a Treat Yourself mini bar, DVD player, television, 2 line phones and newly designed bathrooms with a bathtub. 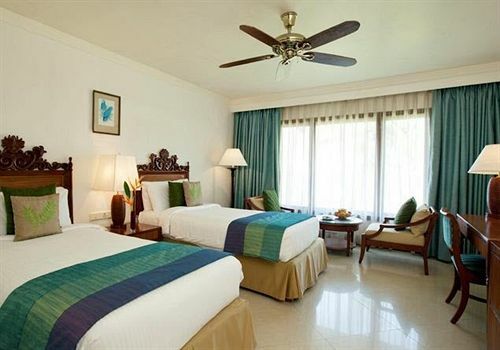 Premium Indulgence Cottage - Garden View Rooms, of 400 sq. 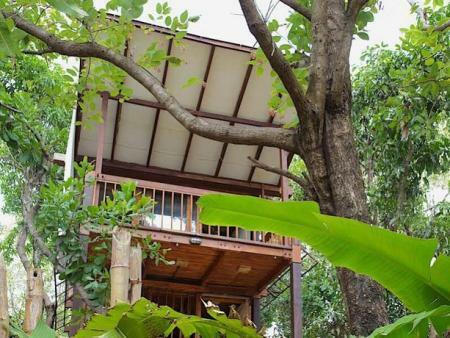 ft, is garden facing, and have lush lawn sit outs. These rooms have been recently renovated and have a view of the lush tropical landscaping. 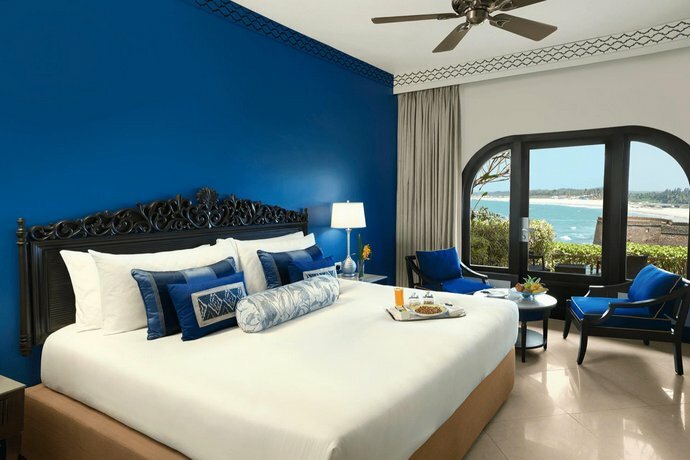 All rooms in this category have a Treat Yourself mini bar, DVD player, LCD television, 2 line phones and newly designed bathrooms with a bathtub. Premium Indulgence with Terrace rooms are located in the main building and offer a spectacular view of the sea. 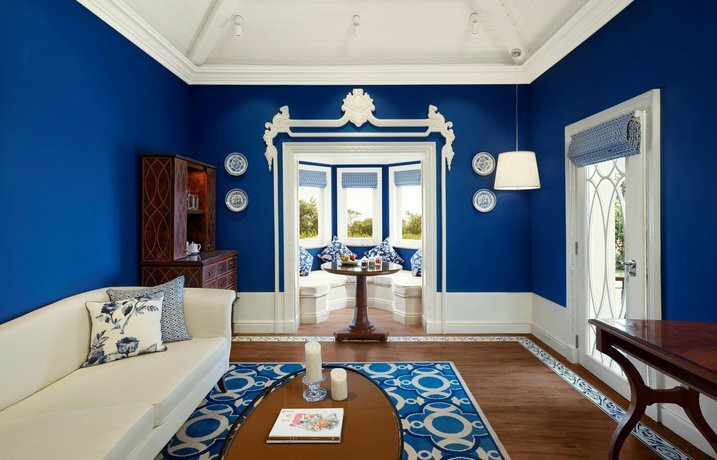 These rooms have a large terrace and an additional powder room. 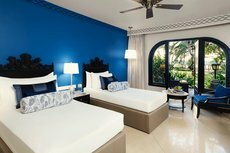 All rooms in this category have a Treat Yourself mini bar, DVD player, LCD television, 2 line phones and designed bathrooms with a bathtub. Deluxe Allure Suite with Terrace rooms are located in the main building and offer a spectacular view of the sea. 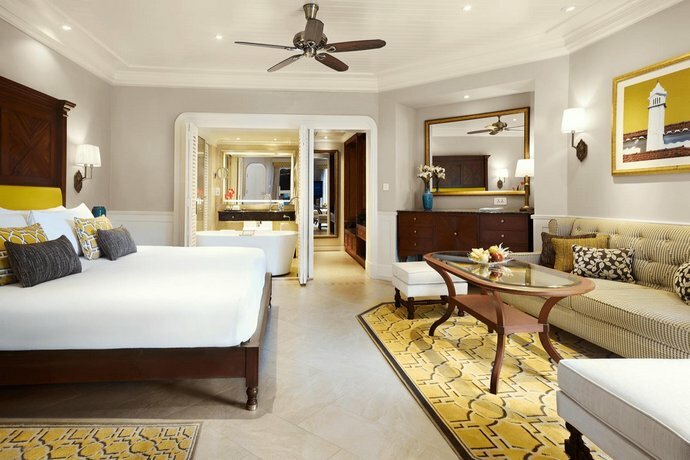 These rooms have one bedroom, a living room and a terrace. All rooms in this category have a Treat Yourself mini bar, DVD player, LCD television, 2 line phones and designed bathrooms with a bathtub. 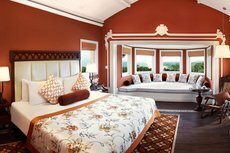 Premium Temptation Villa - Garden View - of 700-800 sq. 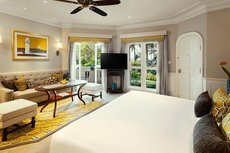 ft, are luxurious stand-alone villas with a bedroom and a living room, a private lawn and garden furniture with parasols. 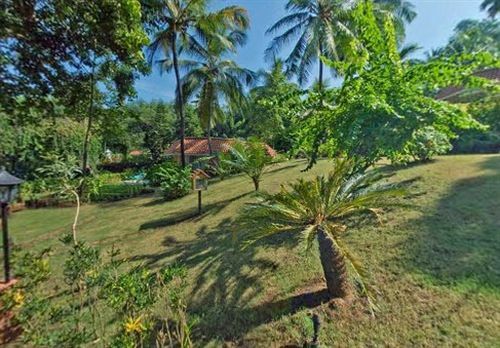 All rooms in this category have a Treat Yourself mini bar, DVD player, LCD television, 2 line phones and designed bathrooms with a bathtub. 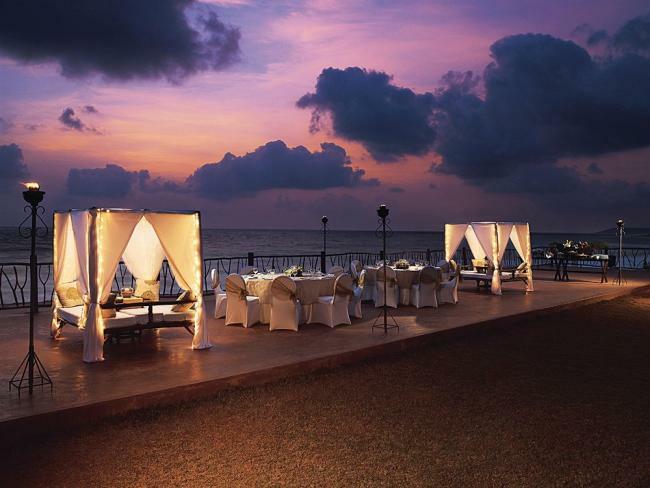 Goa is a happening, constantly evolving state and the restaurants at Vivanta by Taj - Fort Aguada certainly keep up. 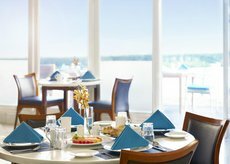 With the sea as a backdrop, you can enjoy imaginative cuisine and the vibrant ambience. 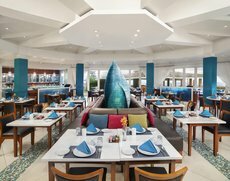 Latitute: Latitude, the multi-cuisine all day dining restaurant, serves buffet breakfast, A la carte lunch and dinner. Latitude is ready when you are. 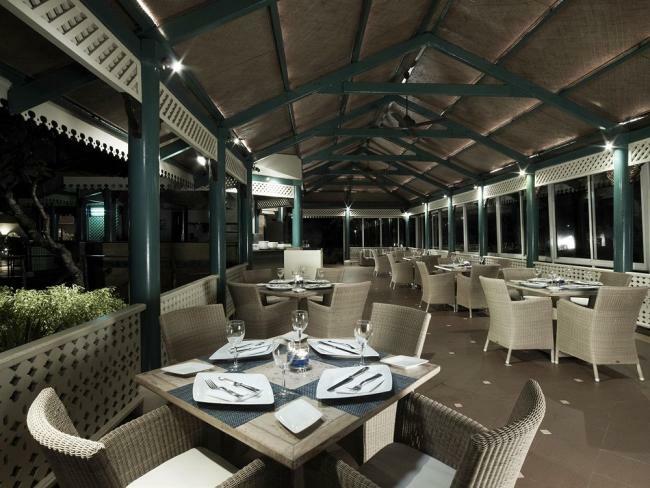 Morisco: This elegant destination, overlooking the Candolim-Calangute-Baga beach stretch, inspires with ultra-fresh seafood. 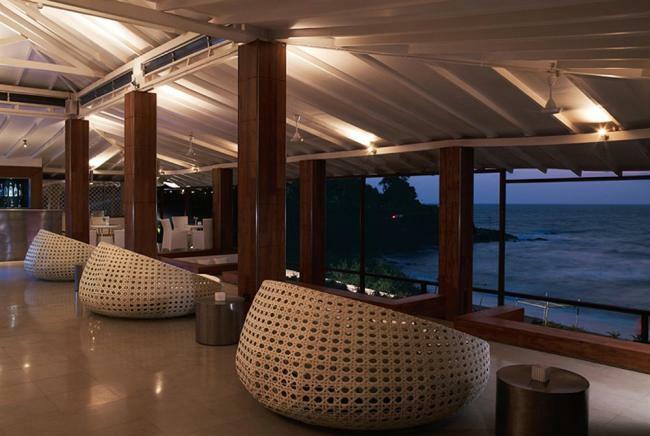 SFX Bar & Lounge: SFX, the high-energy lounge bar, brings exotic beverages and a unique brand of nightlife to the seaside. 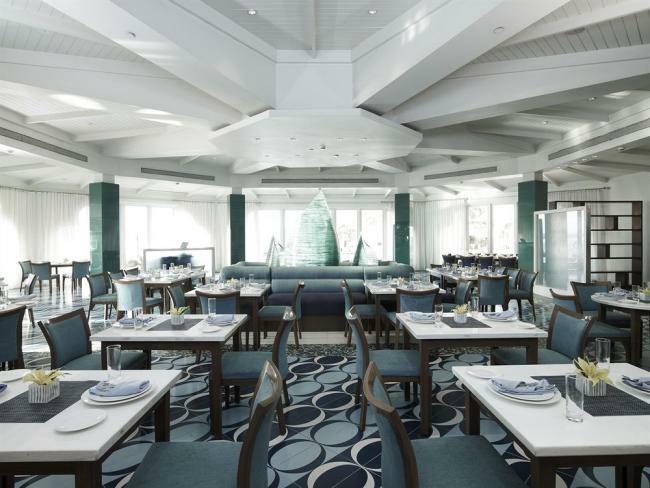 Martine Bar: A light-dining menu complements a selection of international spirits and an incredible list of Martinis. 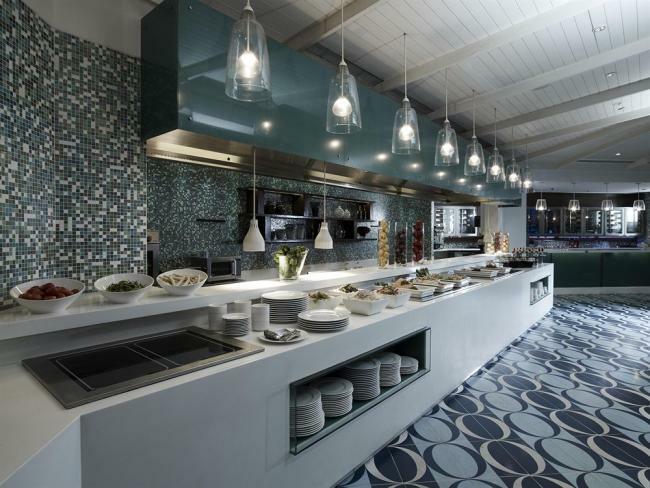 Private Dining: Sunset Point. 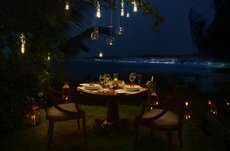 They'll set up an intimate seaside dinner with nothing but the gentle lapping of waves to intrude on your privacy. The deck becomes a romantic evening retreat with Mashals (torches), lanterns and cosy lounge seating. 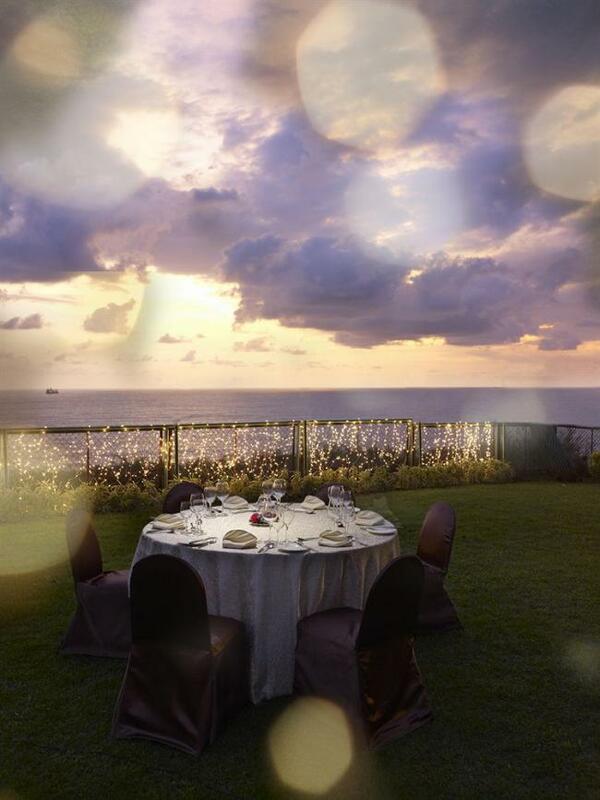 An exclusive Celebration table is set just for you on the hill at the highest point, offering an almost 270 degree view of the sea. Available for parties of 6 to 8. 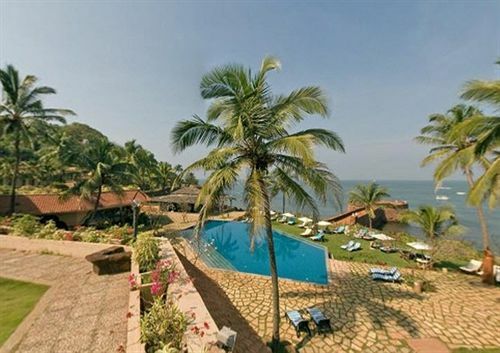 Fort Aguada, Goa has dynamic meeting space for modern meeting and conference needs. 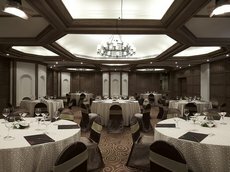 The meeting venues are high-tech, high-energy rooms comfortably designed for the long hours that delegates put in. 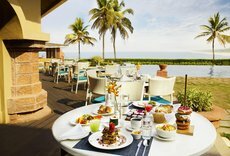 No matter what your agenda, Vivanta by Taj - Fort Aguada, will complement it with the appropriate space, staff and service. Events at Vivanta by Taj - Fort Aguada, Goa are all this and more. They know just how to put together great dinners, weddings, fashion shows and memorable parties. They plan like crazy to achieve that natural balance where everything's perfect without trying to hard. 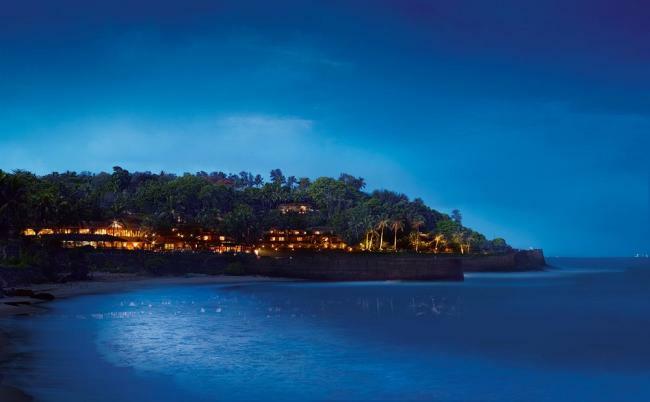 If you can think it up, Vivanta by Taj - Fort Aguada can make it iconic. Stay energized. Work up a sweat. Cool down. Stretch out. 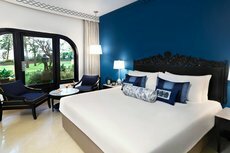 The Vivanta by Taj Fitness Centre has everything you need to meet your health and fitness requirements on the go. The Fitness Centre is equipped with Life Fitness circuit training and cardio machines. What would you like to do today? Laze by the pool? Explore the neighbouring towns and villages? 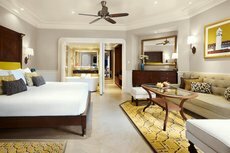 Plan a romantic evening without the kids? Whether it's edgy or unexpected, we can arrange it. 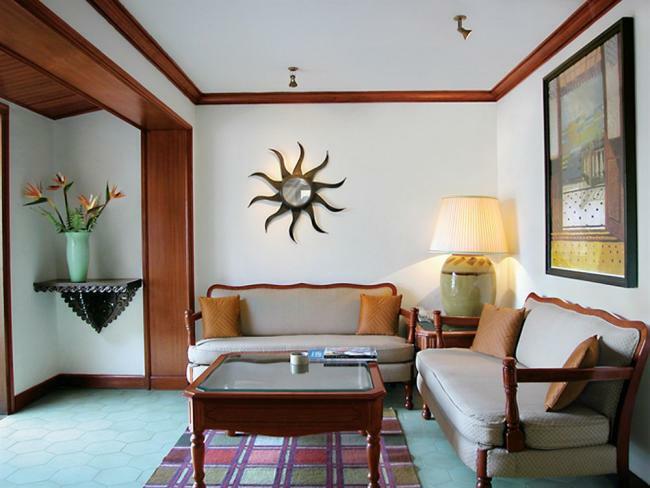 Vivanta by Taj loves to delight. 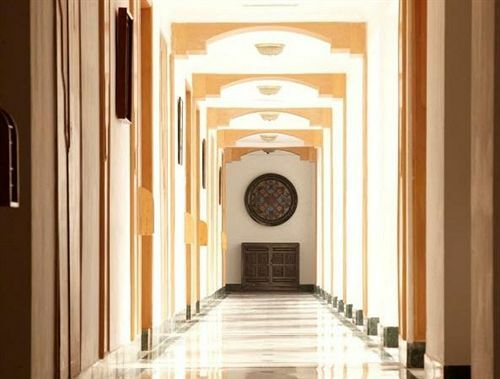 Blending ancient Indian wisdom with contemporary therapies, Jiva Spa offers the best in Indian rejuvenation therapies ranging from Indian aromatherapy massages, time-honoured Indian treatments, body scrubs and wraps. 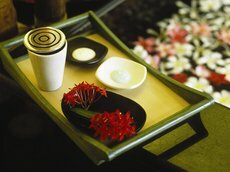 The spa experiences are offered by trained experts using exclusive natural products in a fresh and harmonious setting. Signature Jiva Spa experiences bring guests the essence of traditional wellness and therapeutic experiences. 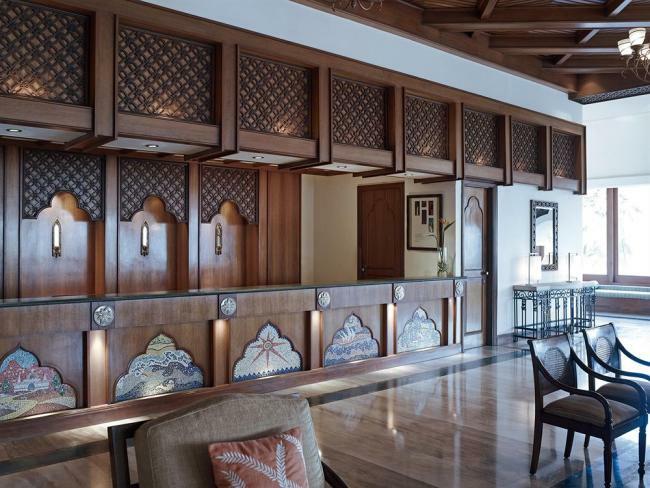 When you need something done in Goa, our concierge is the man to ask. Local errands - shopping/medicines/telecommunication etc.